SSI provides the guidance and support to move your project in the right direction. 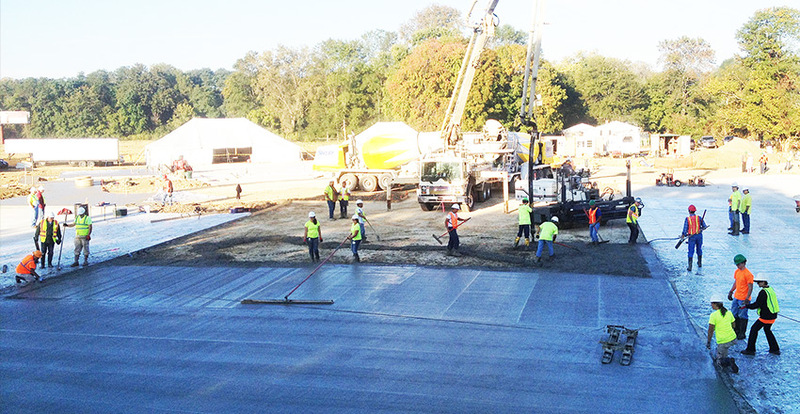 SSI’s award winning flatwork construction team is able to offer onsite concrete placement and finishing consultation, while observing the construction process. SSI can provide jobsite observations of the placements, finishing, curing, joint filling, densifier application, and polishing observations. With today’s changing construction materials, procedures and equipment, it is important that personnel keep up with the latest concrete placing and finishing techniques. SSI is proud to offer Concrete Colleges and a wide variety of decorative concrete training, such as polished concrete / polished overlays, and decorative hardscapes. Producing the proper finish during slab placement is paramount, especially if the surface is to be polished. Our consultants will work with the place and finish crew to help them produce a uniform and properly finished surface. If the slab is to be polished, SSI’s consultants can provide a complete evaluation of the polishing process, including the diamond tooling and grit sequence, coloring and densifying techniques and gloss and DOI/RIQ readings.